A cup of tea brings feelings of peace and serenity to mind. Whether it be a rainy day or cold evening, drinking a warm cup of tea has never failed to help me feel calm and happy. 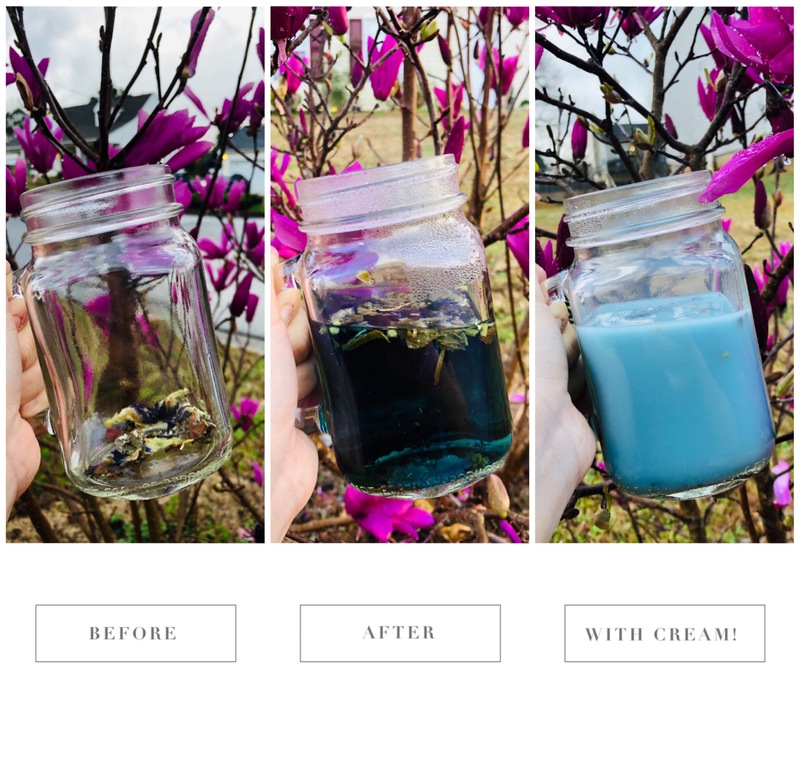 There’s an amazing selection of tea for all types of different palates to choose from like your classic green, black, and white tea, but my personal, newfound favorite is butterfly pea flower tea! Befitting its exquisite name, this tea also has an appearance like no other. 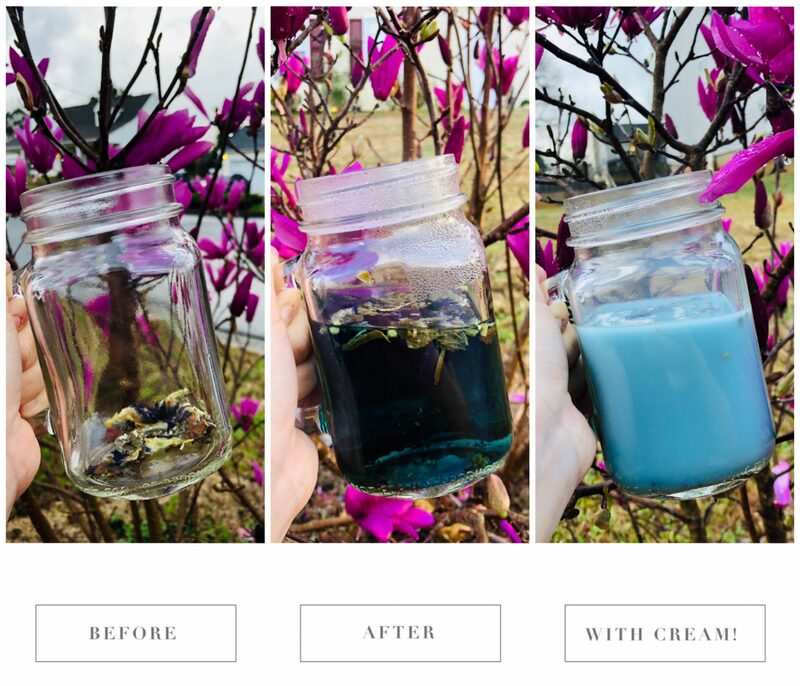 Butterfly pea flower tea may seem like a new and recent addition to tea shelves, but this tea has been consumed in Southeast Asian countries like Thailand and Malaysia for centuries. It is a caffeine-free beverage made from oftentimes dried lemongrass and blue flowers and leaves of a plant known as Clitoria ternatea (Centeno, 2018). It is said to have an earthy taste similar to green tea despite its color (Goldberg, 2016). 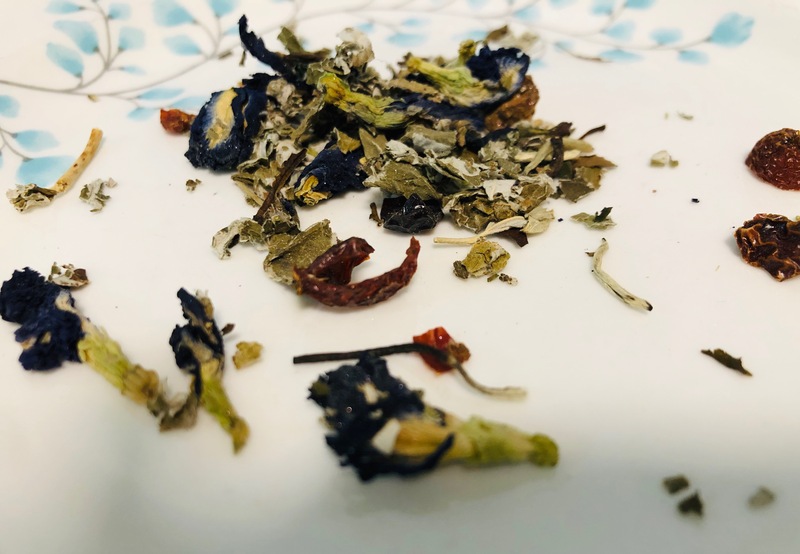 What makes this tea unique, however, is not just its natural, blue color, but its ability to change color depending on pH. Adding lemon will allow this beverage to take on a purple color. Add more and it’ll turn hot pink, adding a perfect and mesmerizing ombre. Like other plants that function as pH indicators, butterfly pea consists of anthocyanins, allowing it to change color. The plant has been tested as a pH indicator to successfully differentiate pH levels between 2-12 (Amaolo, 2017). Anthocyanins also contain high amounts of antioxidants, making blue tea a common use in traditional medicine and a source of many health benefits (Kungsuwan, Singh, Phetkao, & Utama-ang, 2014). Butterfly pea flower extract has been found to have anti-inflammatory and pain-relieving abilities (Kumar and Ishwar, 2012) as well as the potential to relieve diabetic complications caused by advanced glycation end products (AGEs). AGEs are compounds that can clog vessels and form more often in diabetics when sugars combine with particular amino acids (Barone, 2017). Clitoria ternatea extract has also been found to improve memory and acetylcholine levels (Taranalli & Cheeramkuzhy, 2011) and has anti-depressant, anti-stress, anti-convulsant, and anti-microbial properties (Jain et al., 2003). Its antioxidant activity has also been applied in cosmetics (Kamkaen & Wilkinson, 2009). Try making your own tea by seeping 1-2 teaspoons of butterfly pea flower with a cup of water and add honey, lemon, juice, or milk for more flavor. You can also make ice cubes with the tea to add color to any drink! Anna is a pre-medicine Neuroscience undergraduate at Georgia Tech. In her free time, she enjoys watching anime, drinking bubble tea, and spending time on her piano. She is also obsessed with cats.